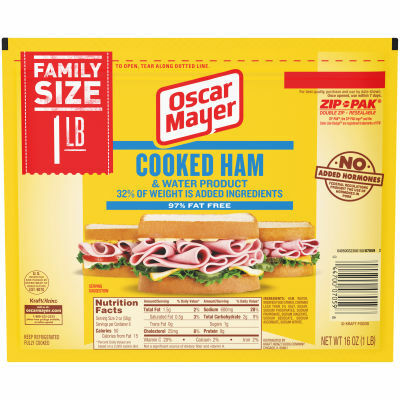 Oscar Mayer Cooked Ham is made with quality, 97% fat free meat and is packed with delicious flavor. Enjoy it on your favorite sandwich! Serving size 2 Slices (56g).